Maliya Mapira is 16 years old. 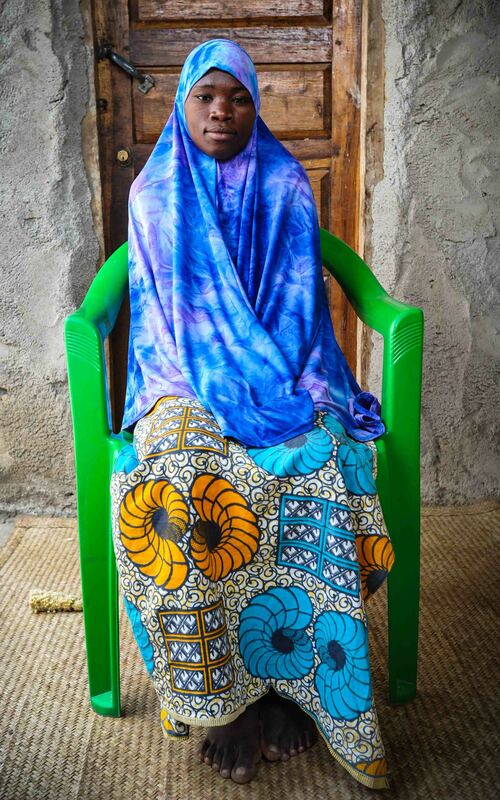 She married husband Maliki Hestone when she was 15 and the couple live in Swarere village, Malawi, with their six month old son Bashiru Akim. When a teacher got her pregnant, her parents were unable to support her so she chose to marry instead. 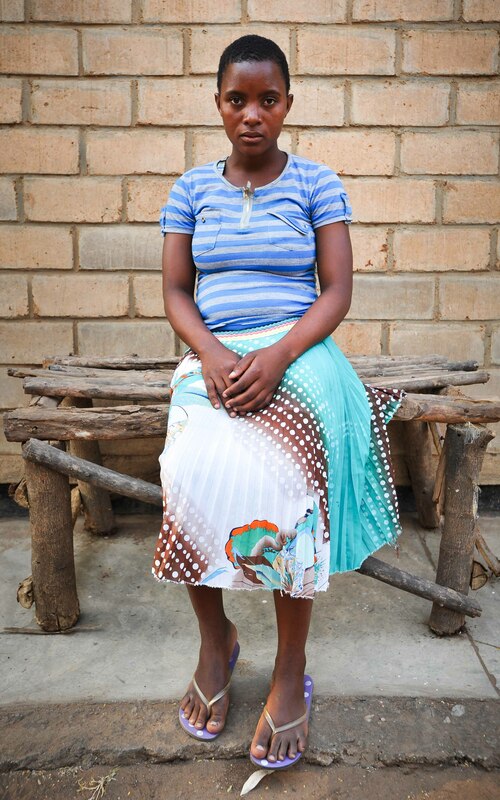 “My name is Maliya Mapira and I am 16. My parents are farmers. They mainly grow tobacco. “With the weather, the farming didn’t do well. Apart from that, the sales were not that good. It would just be hand to mouth. So some of the tobacco would remain on the market maybe for a year without being sold. “There were two challenges. We couldn’t afford enough fertiliser for the tobacco. And the issue of the drought. The drought contributed a lot to the poor harvest. “This is the third year that we are experiencing this drought. The tobacco plant doesn’t grow well. Even the maize is not producing well. “I got pregnant while I was in school. So I had to stop school, and they wanted me to marry the man who got me pregnant. But I refused. The man I am married to is not the one who got me pregnant. “The man who got me pregnant was a teacher. We agreed I should take care of my baby and when he is old enough I should go back to school. And the teacher would support me and the baby so that I could finish school. But along the way the teacher was unable to support me, not even the baby. So it became difficult for me to go school so I just stopped and searched for a husband. 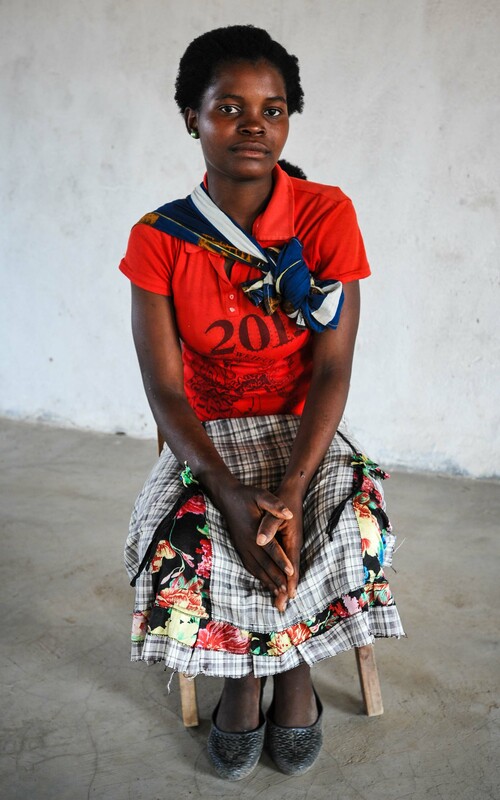 “I didn’t want to marry the teacher because he had other girlfriends apart from me. And give the little support he could bring me, I understood he wouldn’t be able to take care of me. The one I am married to is better off compared to the teacher. “I don’t want to have more children because we are struggling taking care of the one I have. It would just make things more difficult.